Thank you to Jane Anthony and Lenka Cathersides for this research. 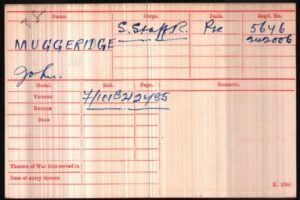 John Michael Muggeridge was born on the 3rd of February 1879 in Warnham, Sussex to farmer and gamekeeper Philip Muggeridge and Emily Sarah Muggeridge nee Muggeridge. 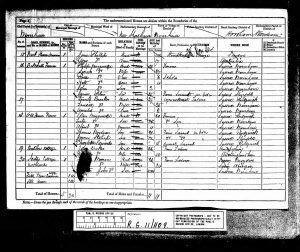 He was baptised on the 30th of March 1884 in Warnham. 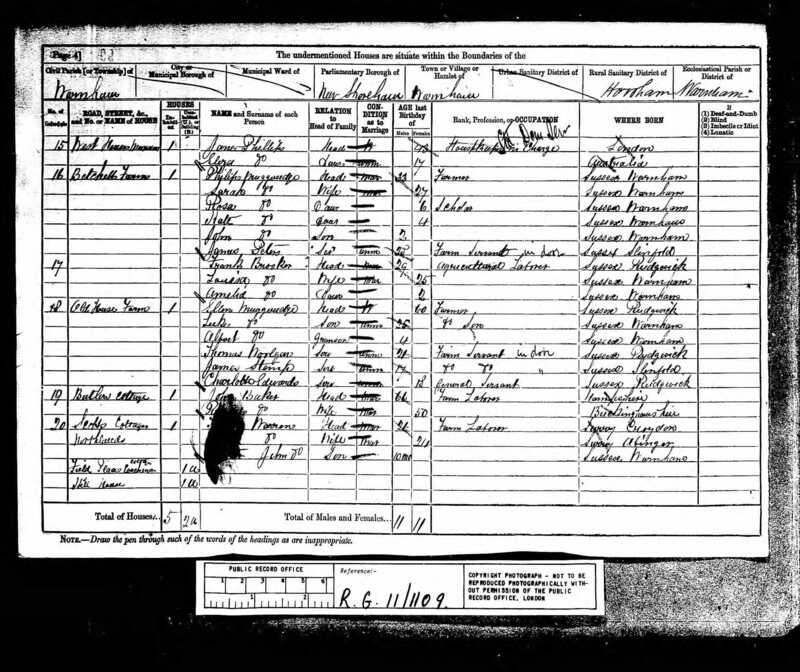 At the time of the 1881 Census, the family lived at Betchetts Farm, Warnham. Philip was still farming and Emily was at home. 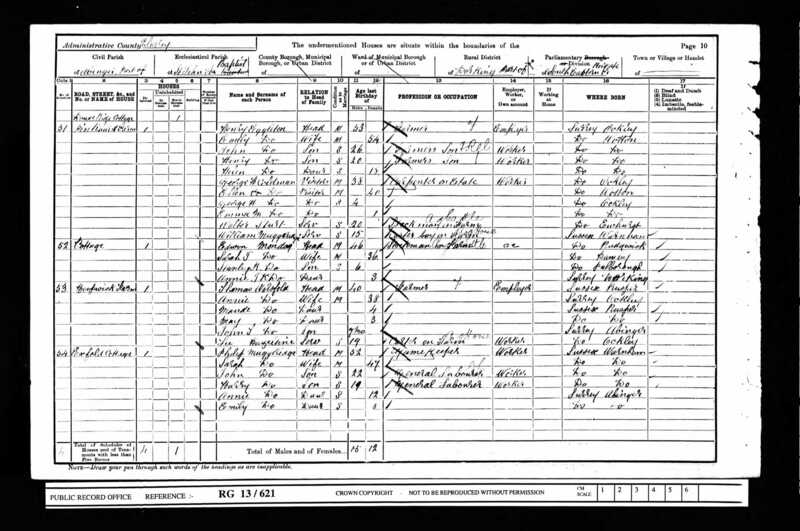 The household further comprised of their children: Rosa, Kate and John. Philip also employed farm servant James Peter. 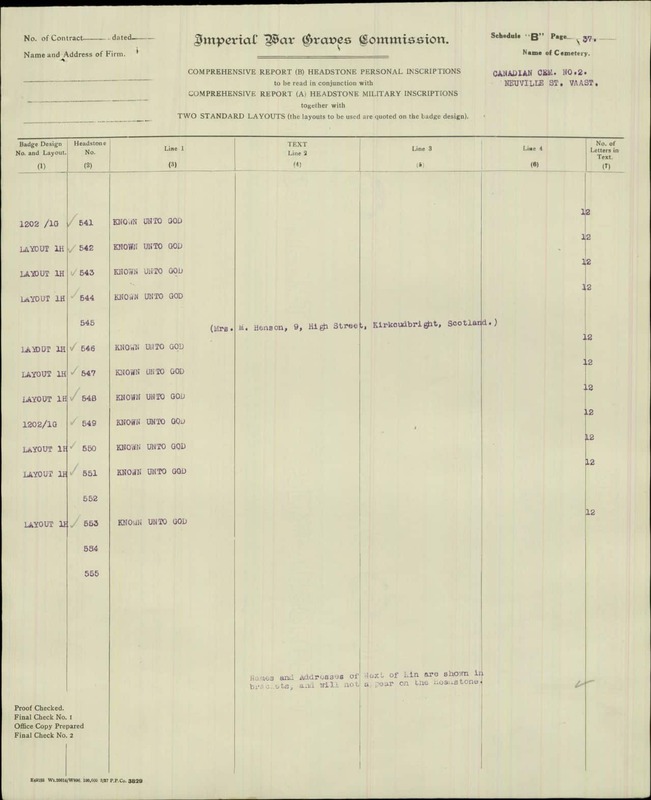 On the 15th of February 1886, John was admitted into Warnham National School. At the time of his admission the family lived in Bookers. Previously, John had attended school in Rowhook. He left Warnham National School on the 14th of October 1887. 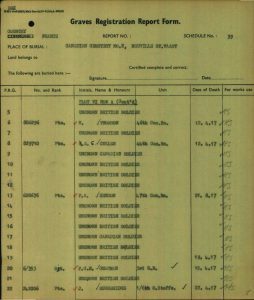 At the time of the 1891 Census, the family lived at Furzen Lane, Walliswood, Surrey. 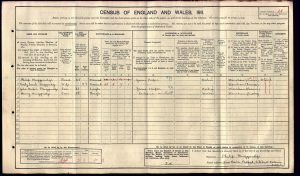 Philip was working as an agricultural labourer and Emily was at home. John Michael, Harry, Edith and Annie were still living at home. 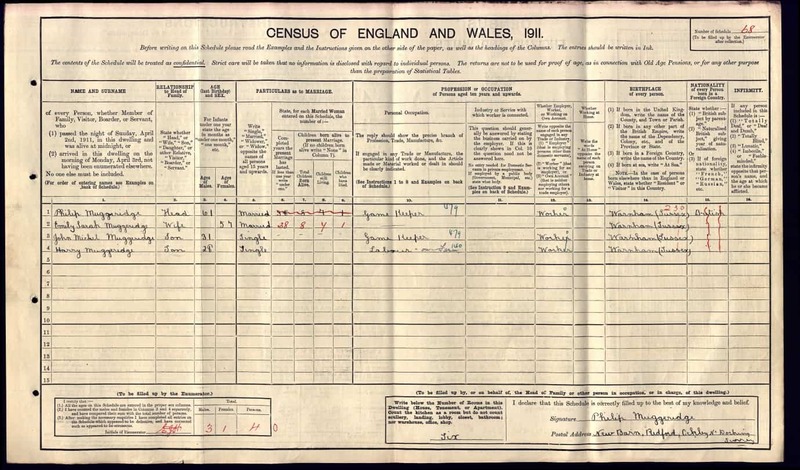 At the time of the 1901 Census, the family lived at Exfold Cottage, Abinger, Surrey. Philip was working as a gamekeeper and Emily was at home. General labourers John and Harry, and the other children Annie and Emily were still living at home. 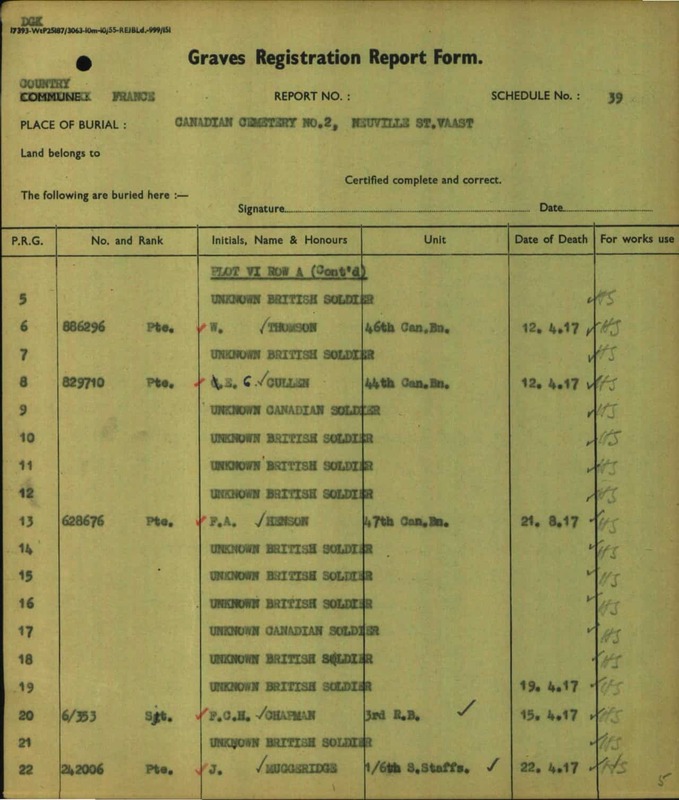 At the time of the 1911 Census, the family lived at New Barn, Redford, Ockley, Surrey. Philip was still working as a gamekeeper and Emily was at home. 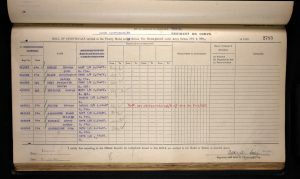 Only John, who was also working as a gamekeeper and Harry, still a labourer, were at home. The accommodation had six rooms. Emily Sarah stated that she had given birth to eight children of whom seven were still alive. John Muggeridge enlisted in Dorking into the 1/5th (T.F.) Battalion of the South Staffordshire Regiment. 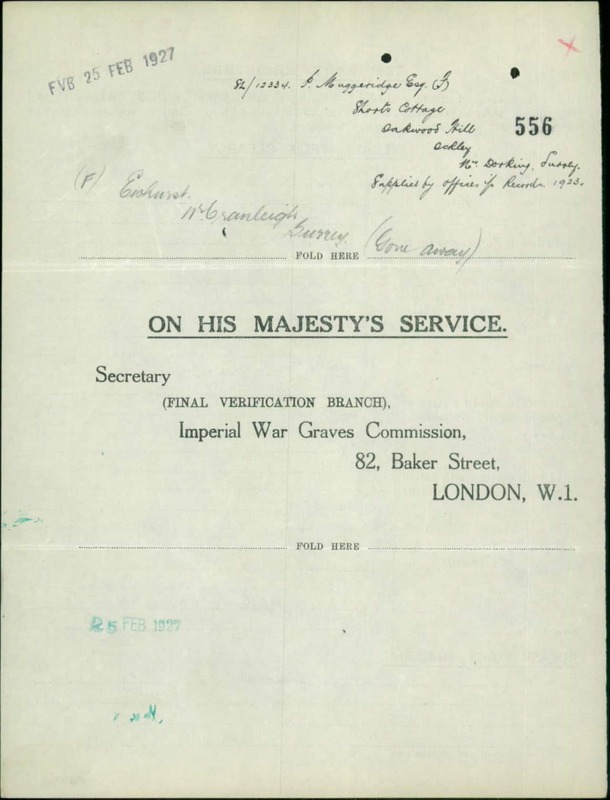 He was a Private with regimental number 5646. 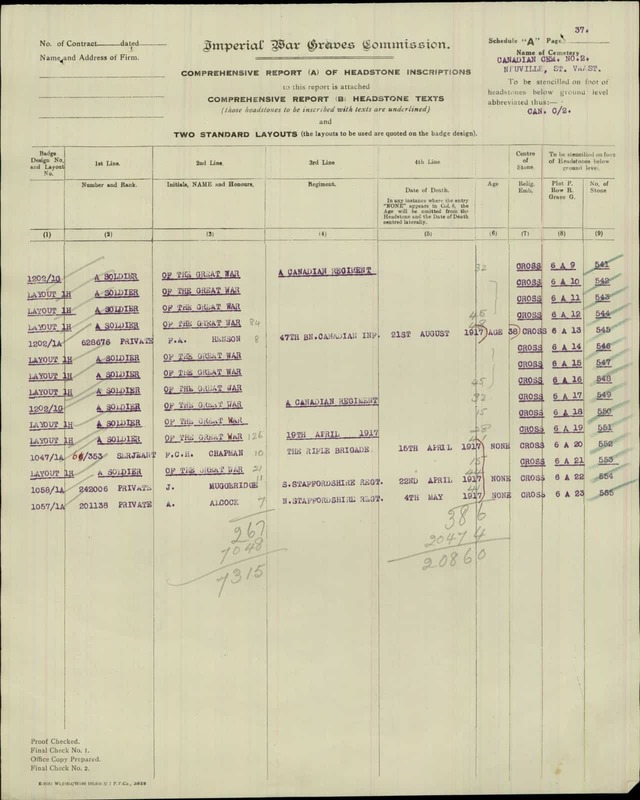 At the time of his enlistment he lived in Ockley. At the time of his death he was part of the 1/6th (T.F.) Battalion of the South Staffordshire Regiment and his new regimental number was 242006. 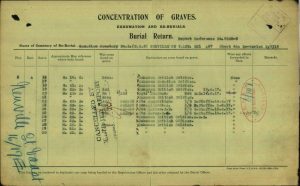 John Muggeridge was killed in an action on the 22nd April 1917 in France. 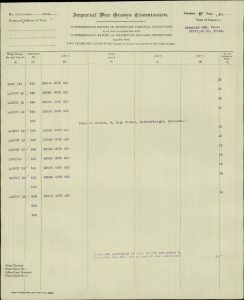 He was killed at Vimy Ridge which is mostly associated with Canadian troops and is buried in the Canadian cemetery. The Cemetery was established by the Canadian Corps after the successful storming of Vimy Ridge on 9th April, 1917 and some of those buried in the cemetery fell in that battle or died of wounds received there, though the majority of the graves were made later for the burial of the dead recovered from surrounding battlefields and from isolated graves which were transferred into the cemetery over a period of years after the Armistice. 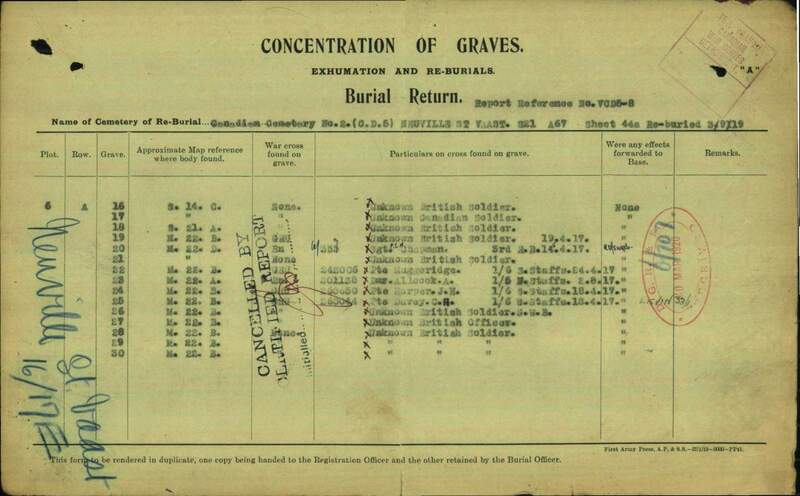 His body was exhumed and reburied at the Canadian Cemetery No. 2, Neuville-St. Vaast in France. His grave reference number is: 6.A.22. 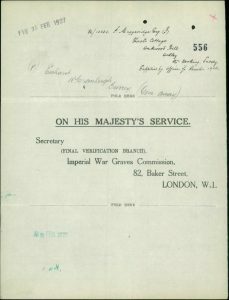 John Muggeridge received the British War and Victory medals. 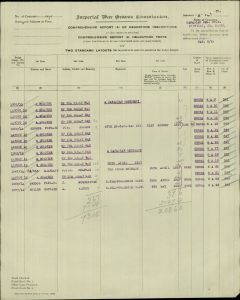 John’s father Philip received £5, 9s and 11d on the 3rd of July 1917 and a further £3 and 10s on the 19th of November 1919 in Soldier’s Effects. 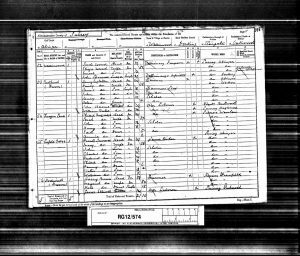 John’s father Philip was born about 1848 in Warnham, Sussex to farmer Michael Muggeridge, born about 1818 in Warnham and Eleanor, born about 1822 in Rudgwick, Sussex. 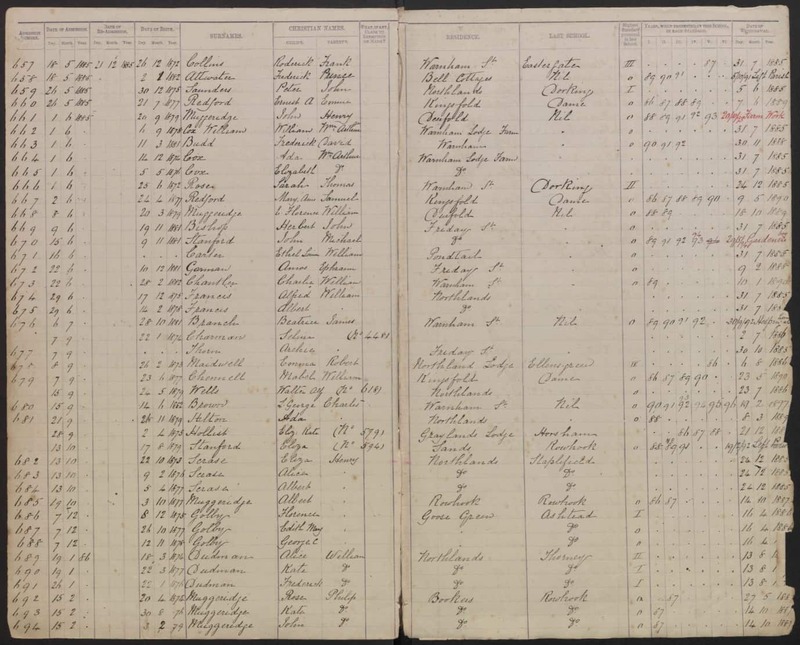 Philip was baptised on the 30th of April 1848 in Warnham. 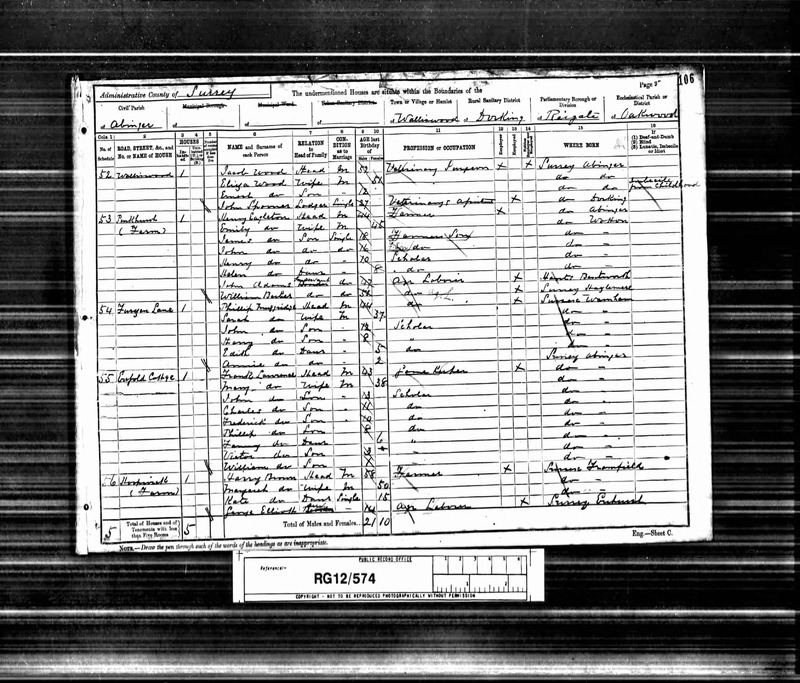 His mother Emily Sarah was born in the 4th quarter of 1853 in Warnham to farmer of 130 acres Michael, born about 1808 in Warnham, and Miriam, born about 1810 in Rudgwick, Sussex. Emily Sarah was baptised on the 27th of November 1853 in Warnham. 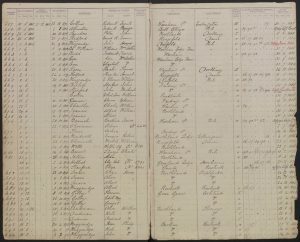 Philip and Emily married on the 11th of July 1876 in Warnham. 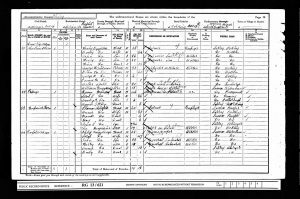 John Michael had seven siblings: Rosa born on the 20th of April 1874; Kate born on the 30th of August of 1876; Harry born on the 8th of September 1881; Miriam Ellen born on the 15th of December 1883; Edith born on the 13th of April 1886 all in Warnham. Annie born on the 2nd of March 1889 and Emily born on the 17th of April 1892, both in Abinger, Surrey. In 1927 Philip lived at Shoots Cottage, Oakwood Hill, Ockley. 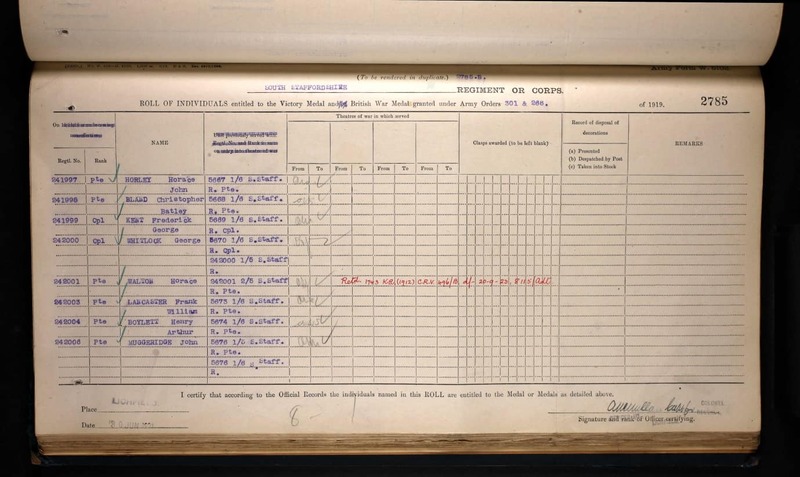 1923 and 1929 Surrey, England, Electoral Registers read that Philip and his wife Emily Sarah lived in Oakwood Hill. 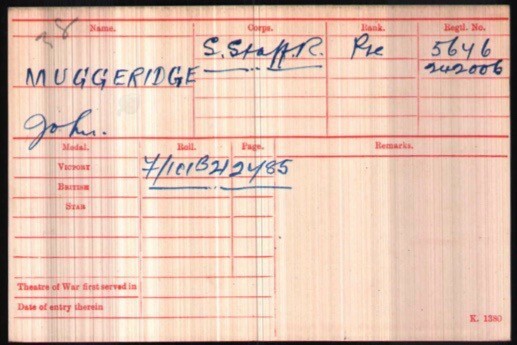 John’s father Philip Muggeridge died in the 1st quarter of 1929 in the Registration District of Dorking, Surrey. John Muggeridge is also commemorated on the Abinger, Forest Green and Okewood Hill memorials.